Marijuana has gone mainstream. That’s the lesson we can take from the outpouring of interest in medical marijuana businesses seen by Clark County last week. A total of 206 proposals were entered by 109 different companies for everything from dispensaries to grow houses to testing labs. We’ll no doubt see similar interest in the cities of Las Vegas and North Las Vegas, which are also preparing to allow medical marijuana businesses within their jurisdictions. North Las Vegas, especially, could use the tax revenue such businesses would bring to the strapped city’s coffers. Research guru Jeremy Aguero has declared a “gold rush” on medical pot licenses, which just two years ago were not even on the radar screen. Although voters legalized medical marijuana in 2000 — and commanded the Legislature to provide a way for patients to access the drug — the issue was essentially ignored until the 2013 Legislature, when lawmakers finally authorized dispensaries. Up to 40 will be allowed across Southern Nevada. In part, the new attitude reflects a national shift in the perception of marijuana. Although the drug remains illegal under federal law (wrongly classified as one that has no medical value and is highly addictive), enforcement against medical users, especially, is waning. The Justice Department has said it won’t prioritize enforcement against prescription-holding users, and new federal clemency standards are making it easier for nonviolent drug offenders to seek pardons for their offenses. 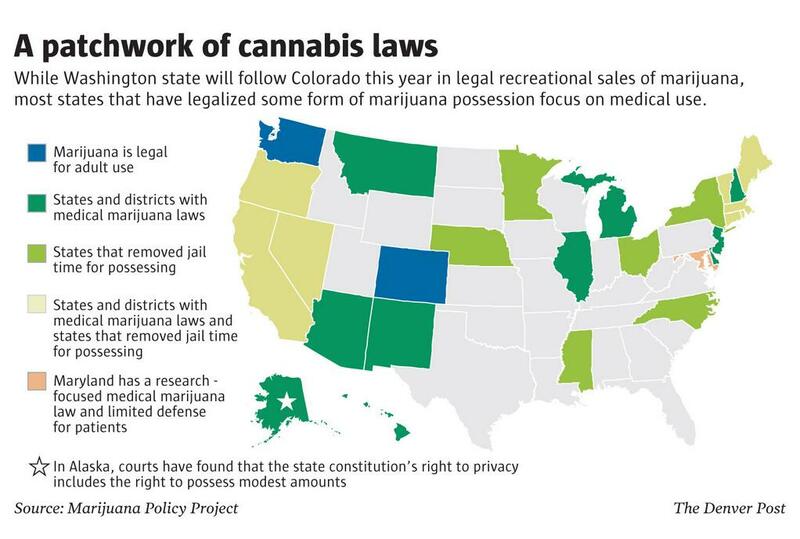 And while 20 states and the District of Columbia have legalized medical marijuana, two states — Washington and Colorado — have legalized recreational use outright. In Nevada, legalization proponents last week filed a petition that may come before the 2015 Legislature — or, more likely, voters in 2016 — to fully legalize the drug here. The revenue from marijuana sales would bolster government budgets without the additional burdens of increases in sales or property taxes, provided officials avoid steep, marijuana-specific levies that guarantee a prosperous black market and keep street dealers in business. If there’s any criticism of the new Nevada medical marijuana regime, it’s that local governments are being awfully detailed in regulating the businesses. There’s a bright line between haphazard rules that would create little Amsterdams in strip malls and regulations that greatly add to the cost of a medicine that, for many patients, is the only relief possible for pain, complications from cancer therapy and other ailments. Local officials need to keep that in mind when reviewing applications. But after so many years of inaction, it’s good to see most local officials responding to the will of the public and a legitimate medical need in the community. The interest we’ve seen thus far shows there’s money to be made, both for entrepreneurs and for the state. And it’s wonderful news for patients who’ve waited far too long for relief. Marijuana is mainstream, and there’s no turning back. Previous articleMMJ Now Illegal In Washington State. Yes, Washington State.